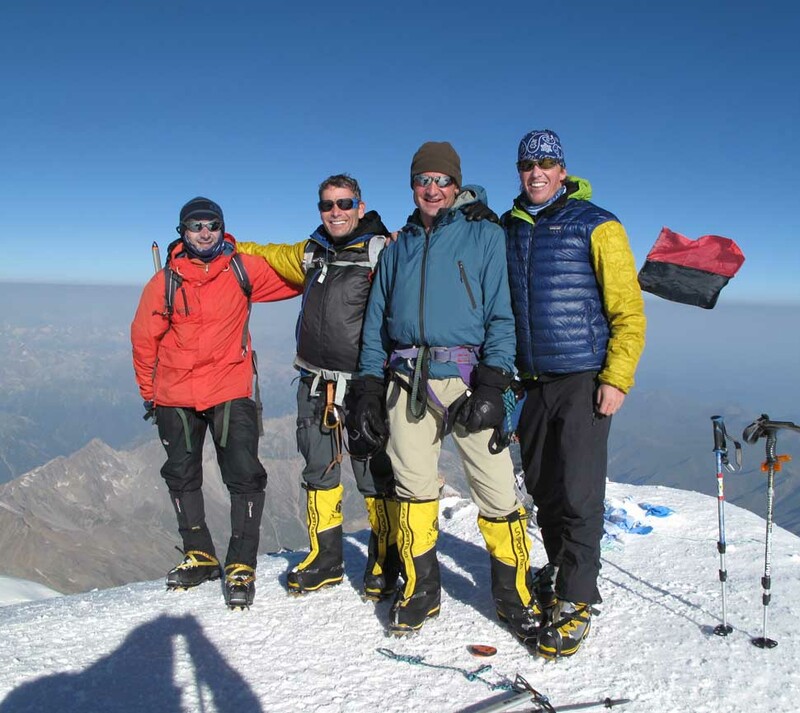 A guided climb of Elbrus or Mengi Tau (Mountain of a Thousand Mountains) is a great way for climbers of all levels to experience high altitude mountaineering in a culturally rich setting. 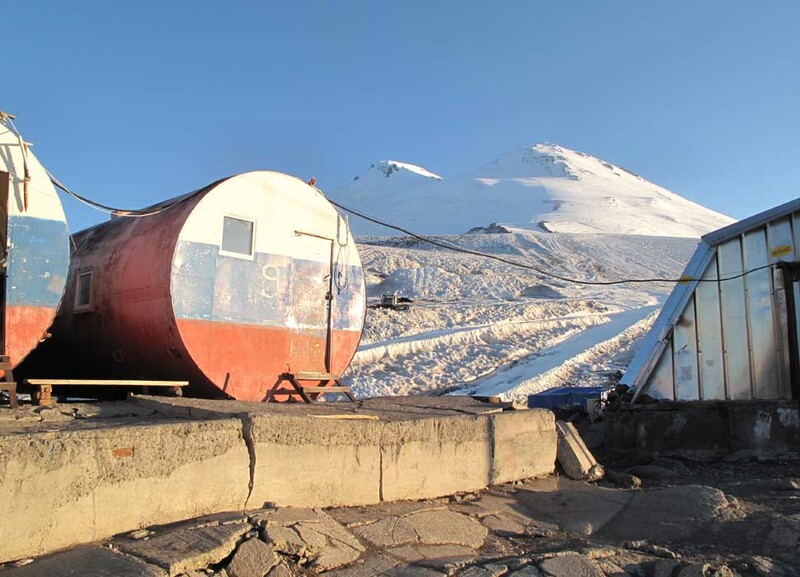 At 18,841′ Mount Elbrus is a heavily glaciated twin-coned volcano that dominates the Caucuses Range. Due to its proximity to the Black Sea, it often seems to act as a magnet for brutal weather that streams up from the southwest. Basic mountaineering skills, a good level of fitness and a penchant for adventure, will see you to the top and the views of the Caucuses are stunning on a clear day. On summit day, our route ascends about 1000m of moderate snow slopes to the col between the two summit cones. Above this point, we will ascend another 300m of steeper snow to the western summit. If you have never been to Russia, you are in for a real treat. 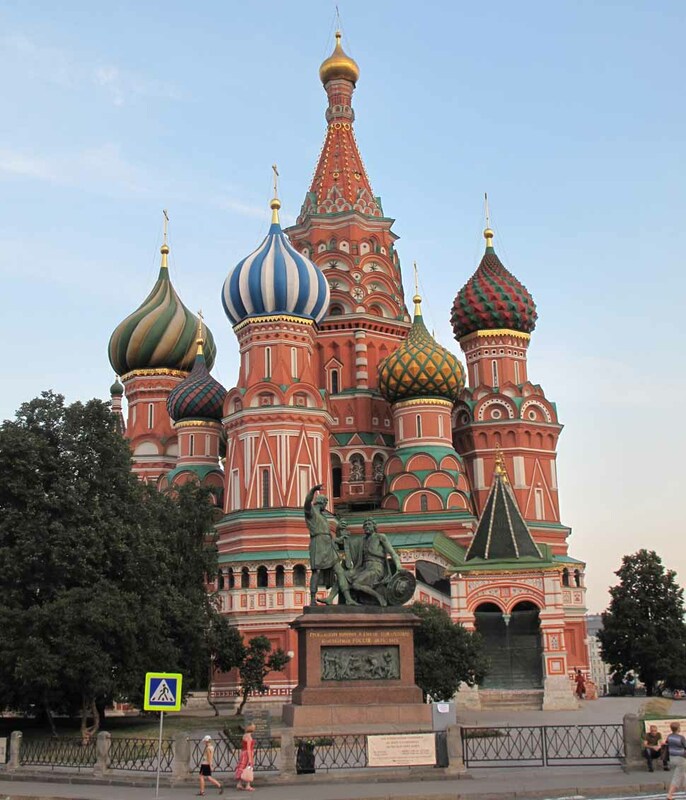 A culturally diverse country, we will have time in our schedule to visit some of the sights in Moscow like the Kremlin, Red Square, and St. Basil’s Cathedral. We will end our expedition in St. Petersburg, where the stunning architecture of old blends with a vibrant and eclectic modern urban society. The Hermitage in St. Petersburg is one of the greatest art museums in the world and worthy of a week-long visit itself! After spending one full day exploring Moscow, we will fly to Mineralnye Vody (Mineral Water) and drive the four hours to our hotel in the Baksan Valley, at the foot of Elbrus. Based in our hotel, we will spend two days doing acclimatization hikes and exploring the Baksan Valley. 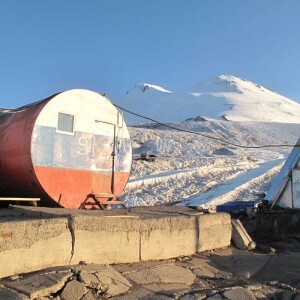 After a few days, we will take the tram up the the new a beautiful Leaprus Hut on the flank of Elbrus from where we will begin our ascent of the mountain. 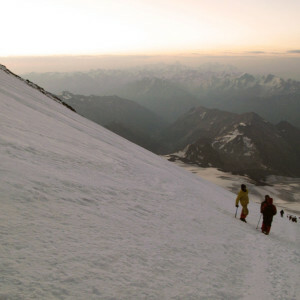 An ascent of Elbrus is a physically challenging ascent involving almost 5000 feet of elevation gain. Fitness is paramount for a successful ascent, as you need to be prepared for a 12 hour summit day, so be sure to include some long, endurance training into your fitness regimen. The skills necessary for the climb are relatively straightforward, with the initial 3500 feet involving moderate snow climbing of 20-30 degrees. Higher up, the slope steepens to 35 degrees in spots and can be icy if the wind has scoured the upper mountain. We have opportunities to practice and review the requisite skills, which makes an ascent of Elbrus a great option for any fit mountain enthusiast. DAY 1: ARRIVE IN RUSSIA. Our team will meet in Moscow, where you will meet your guides and go out for a Welcome Dinner. We plan to meet everyone at the same time so we will coordinate arrival times. DAY 2: SIGHTSEEING DAY IN MOSCOW. 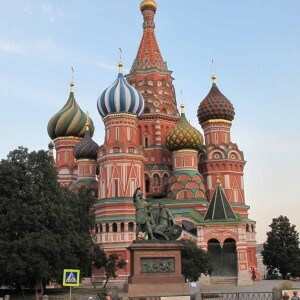 We have all just flown a long way to arrive in Moscow, and the culture and history of this city are not to be missed. 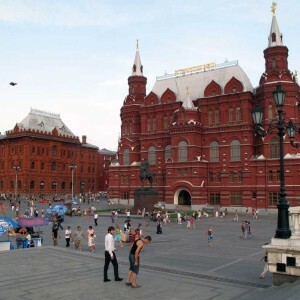 We will spend this day with a local tour guide exploring historic churches, The Kremlin, and of course Red Square. DAY 3: FLY TO MINERALNYE VODY. From Moscow, we’ll take a flight to the city of Mineralnye Vody (Mineral Water) and then drive up into the mountains and the Baksan Valley, at the foot of Mount Elbrus. DAY 4: ACCLIMATIZATION HIKE. 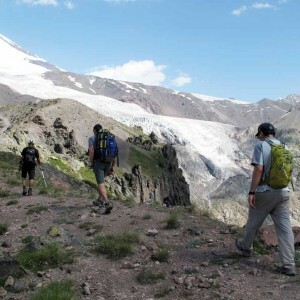 We’ll take an acclimatization hike in a nearby valley with views of Elbrus. This is a moderate day of exercise with modest elevation gains. We’ll spend the night at our hotel in Terskol. DAY 5: ACCLIMATIZATION HIKE. Acclimatization hike and review of crampon and ice axe techniques. We’ll spend this night in Terskol, as well. DAY 6: MOVE TO New LEAPRUS HUT. 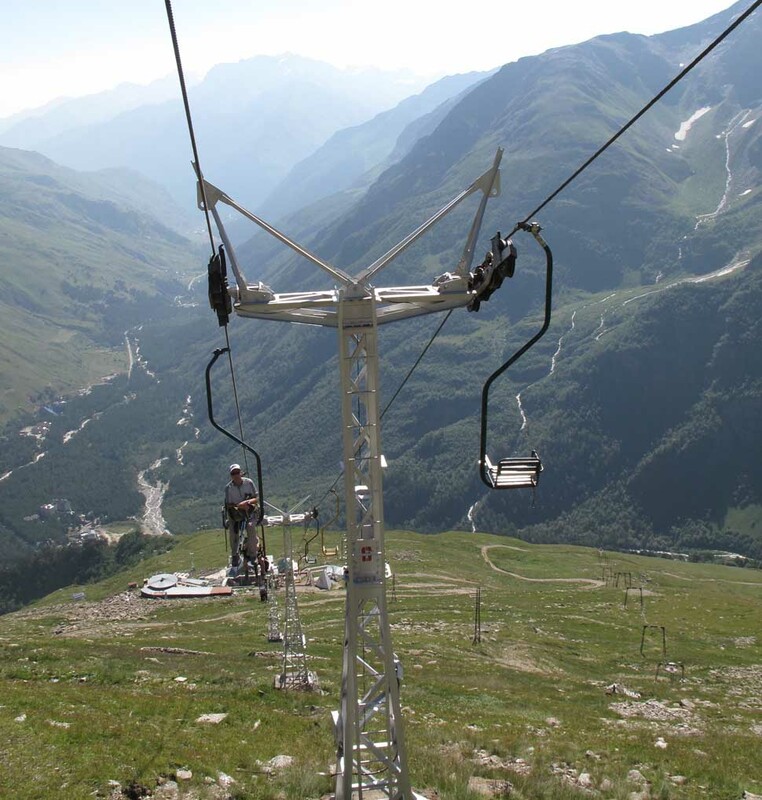 Ascend tram and ski lifts to the new, clean and comfortable Leaprus Huts at over 11,000 feet and hike onto the glacier, which we will ascend on summit day. DAY 7: ACCLIMATIZATION HIKE. 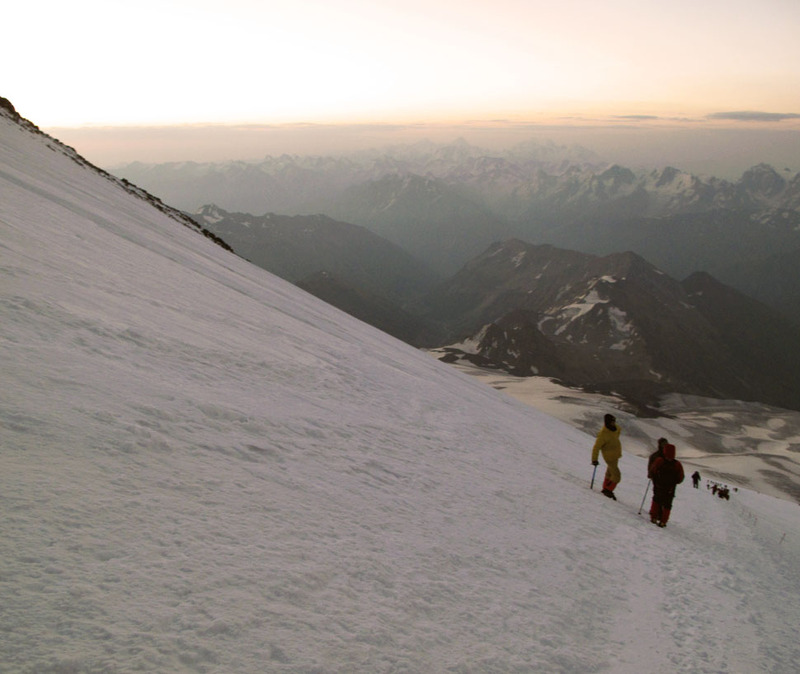 Hike up to Pastukhov Rocks at about 15,400 feet for additional acclimatization and descend to the hut for the night. DAY 8: PRE-SUMMIT. 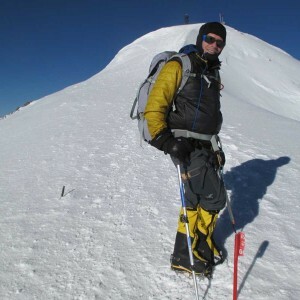 We will spend this day preparing for the summit attempt, a short hike, and some skills review. Today is important to rest as we will be leaving for the summit tonight. DAY 9: SUMMIT DAY! We will use a snow cat to take us up to our high point of the previous day’s hike (15,400ft) and begin our summit push by headlamp. This can be a long day 12 hrs +/- and we will start long before the sun comes up. DAY 10: CONTINGENCY DAY at HUT. If we aren’t able to summit on the first scheduled day, we’ll have another chance! Otherwise, we’ll be back in the valley for a celebratory dinner. DAY 11: BACK TO TERSKOL. 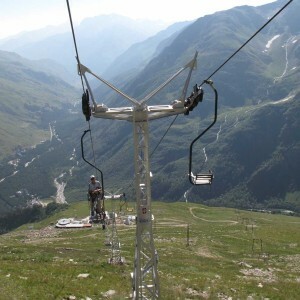 We’ll head back down the tram to the village at the base for a celebratory dinner! If we have extra time we can schedule a hike or sightseeing in the Cheget region. DAY 12: FLY TO SAINT PETERSBURG. We’ll travel back from the mountain to the airport at Mineral Vody and fly to Saint Petersburg. DAY 13: SIGHTSEEING IN St. PETERSBURG. One day in this beautiful and historic city is certainly not enough, but we will see the world renowned Hermitage Musem and visit the historic ship Aurora. We will have a local tour guide to show us around, and you are welcome and encouraged to spend another day or two here exploring the city before you head home. DAY 14: FLY HOME. Transfers to airport for flights back home. 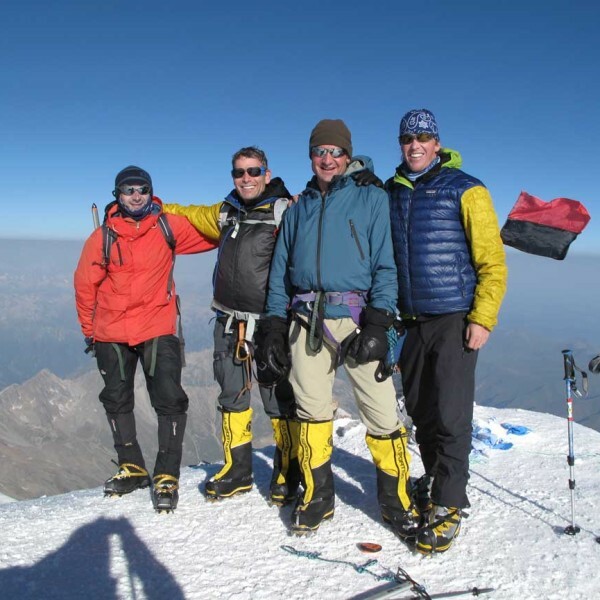 • All deposits for Elbrus expeditions include a non-refundable $750 administration fee. 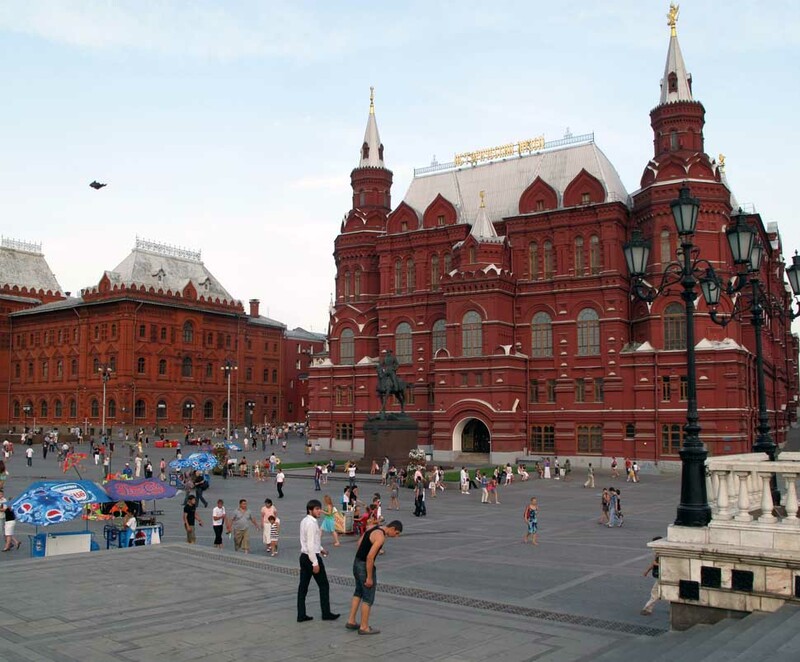 • Scheduled accommodation (shared room) for up to two nights accommodation in Moscow (shared room) pre-trip and 2 nights in St. Petersburg at the end. Up to four nights accommodation and all meals in Terskol. • Meals beyond the included, scheduled meals. Most meals in Moscow and St. Petersburg are NOT included. The main purpose of becoming a team member is to join us on an expedition in the mountains with our expert hiking guides. As such any transportation we provide or that you may contract for on your own is incidental to the trip. 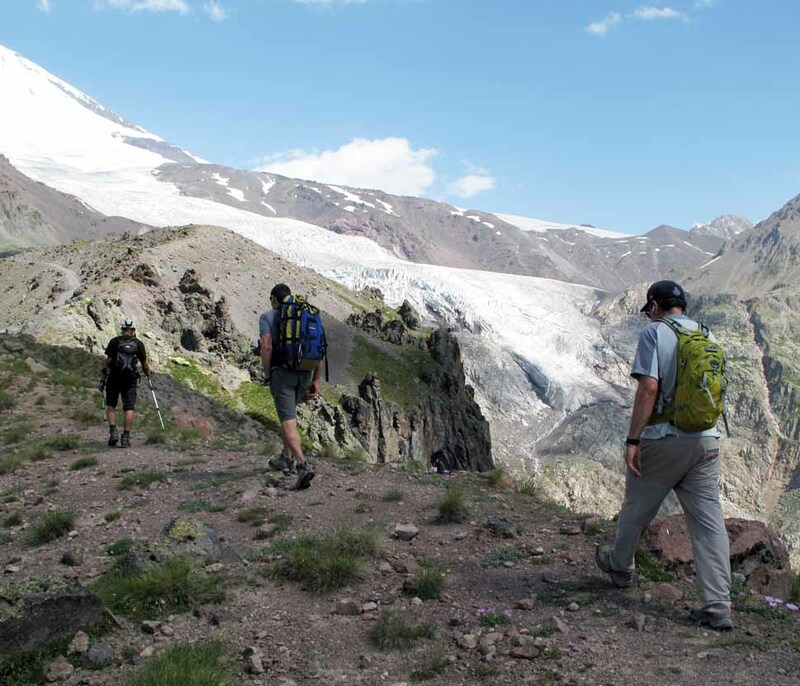 We suggest that you make sure you have time built into your itinerary for delays throughout your Mount Elbrus trekking adventure. You are responsible for obtaining a Visa for entering Russia. We will assist you in this process, but you are responsible for having a valid Passport with at least 6 months validity left and a Visa to enter the country.